Since the dawn of his existence, man has marveled at creation and looked to the Heavens for answers and guidance. Burning in his heart were six basic questions: Who am I, really? Why am I here? How did I come to be? Where am I going? When will I find my way? What does it all mean? The search to discover and define the meaning of existence and the path to eternal life has gone on for thousands of years, yet the ultimate truth has eluded all but a select few. The Great Way was forgotten, lost in the sands of time in distant lands and Fallen Kingdoms. But the journey to a life foundation may now be complete. 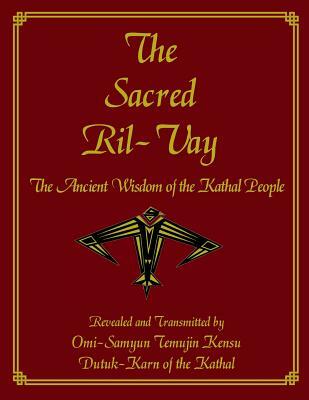 In the Divine Teaching of the Kathal, as restored and revealed by Omi-samyun (reverend father) Temujin Kensu, there is promise, The Way to Power, strength, glory and eternity. A compendium of Hidden Wisdom. Elder Mysteries, universal truth and knowledge, the Ussor or Supreme Law is an opening of the vault, the Key to redemption, deliverance and salvation. Both ancient and vibrantly new, this beautiful, poetic work contains the essence of a thousand arcane schools; the elder mysteries and philosophy, learning, comprehension and faith as illuminating as they are inspiring. Temujin Kensu (born Frederick Thomas Freeman) has spent over half his life in the Michigan prison system. In 1986 he was convicted of murder and sentenced to spend his life behind bars. Kensu insists, and so many believe, that he is the victim of a wrongful conviction, and that the real killer has gotten away with murder. Even after he and his key alibi witness passed polygraphs and assembled reams of documents and facts supporting his innocence, he has failed to move the criminal justice system to grant him a new trial. But with his life as a free man taken away from him, what would you expect of a gifted genius (his words) with so much promise? Temujin has tried to make the best of his situation. He threw himself into music, martial arts, weight training, and helping his fellow inmates get the most out of their confined existence. He read what he could find on medicine, nutrition, horology and meditation. He sought answers in religion too-in Eastern philosophy and occult sciences, Buddhism and Christianity to name a few. From behind prison walls, Temujin Kensu offers a new religion; one of personal belief in the power of self, of respect for spouse and family, and the care and nurturing of the planet that is a foundation for all that is good. The deity is within, as is the power for living and building the best possible life. He is the spiritual leader of "The Kathal..".followers of the eternal law, but he and his late wife Amiko believe there is the power for good in what they offer, and that peace and joy for the followers can set a new path for a troubled world.